Muzaffarnagar, February 8: A local court on Friday sentenced seven people to life imprisonment for their involvement in the Kawal murder case citing the Muzaffarnagar riots in 2013. The court has also imposed a fine of Rs 2 lakh each meanwhile. The case was probed by a Special Investigation Team (SIT) which filed charge sheets in 175 cases. While the dispute continues on the exact cause of the riots, it is alleged that a girl from the Jat community was allegedly harassed by Shahnawaz in Kawal village. In retaliation, relatives of the girl, killed Shahnawaz. The brothers were lynched by a Muslim mob while trying to escape. According to the FIR, the two youths were battered to death by the five of the convicts. The riots began a few days later in the month of September when people returning from a mahapanchayat were attacked. 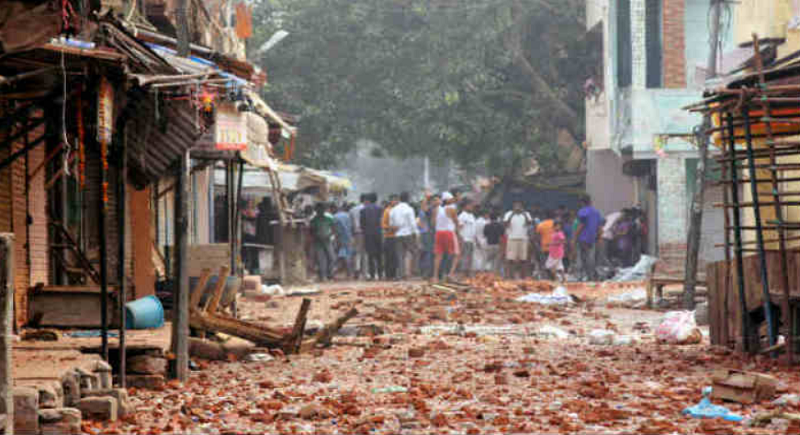 The violence later spread to other areas in Muzaffarnagar and adjoining districts. The other angle given to these riots caused cite to a minor traffic accident involving some youths which then spiralled out of control when it eventually took on religious overtones. The clashes between the Hindu and Muslim communities in Muzaffarnagar district of Uttar Pradesh, back in 2013 resulted in at least 62 deaths including 42 Muslims and 20 Hindu and injured 93 and left more than 50,000 displaced.